As a parent you are probably aware of sleep safety for your baby but how about the baby’s grandparents? A recent study showed that parents and grandparents disagreed on how to keep babies safe while they sleep. Grandparents are more likely to place babies on their stomachs or sides to sleep and put potentially dangerous items in their crib according to the study. 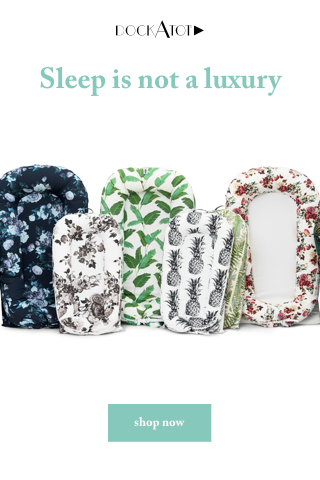 These things increase the risk of SIDS and accidental suffocation. The 2005 U.S. Census Bureau found that 30% of children under 5 are being cared for by grandparents which shows that there is a real need to educate the older generation on safe sleep practices. Babies should always be placed on their back to sleep on a firm mattress with a tight fitted crib sheet. Loose blankets and other items, including most crib bumpers should be avoided. Never dress your baby too warmly for sleep. Room temperature should be kept at 68-72 degrees Fahrenheit. Pacifiers have been proven to lower the risk of SIDS, so offer your baby one if breastfeeding has already been established or your baby is bottle fed. 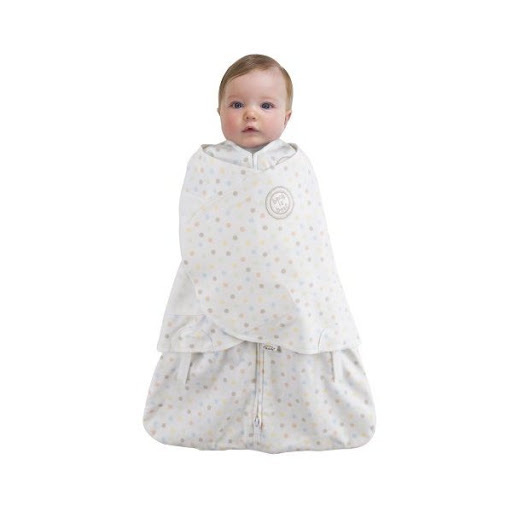 Wearable blankets are perfect for keeping babies the right temperature without using a loose blanket which can be dangerous. HALO makes some nice ones and a new line is carried exclusively at Target! The swaddle feature is removable to convert it to a normal sleep sack. I love this feature because I usually only swaddle at night. It helps my baby sleep better but he doesn’t really need it for naps during the day. Swaddling with a regular blanket is much harder and once the baby is a couple of weeks old, they tend to wiggle a lot more and the blanket comes undone easily. A SleepSack swaddle is much easier to use. This is one item I recommend to all new moms! Want to win this Halo SleepSack? Don’t want to wait for the contest and buy one now?